This talented artist began his career over four decades ago with appearances on Junior Showtime, followed by a grounding on the tough Northern club circuit. His break came in 1981 when he was a finalist on London Weekend Television’s Search for a Star, which lead to appearances at the London Palladium with Bob Hope and at the Talk of The Town. A short time later, Joe received the Variety Club of Great Britain award as Most Promising Artiste of the Year. Television specials in the UK and USA followed. Joe’s repertoire of voices is endless and includes hundreds of the world’s top singers. However, he is perhaps best known for his impersonation of Shirley Bassey, who has commented “Joe can do me better than I can do myself”. 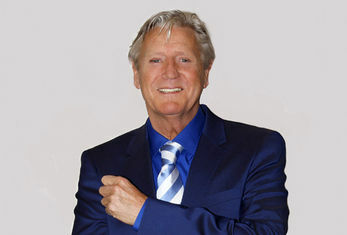 During his career he has received Gold and Platinum discs for his albums, enjoyed sell-out concerts at the Royal Albert Hall, as well as touring Australia several times. Now Joe is looking forward to new challenges, new songs to sing and new audiences to thrill.